Muddy says: For a small pre-prep with a strong family feel, the three Downsend schools are hard to fault. 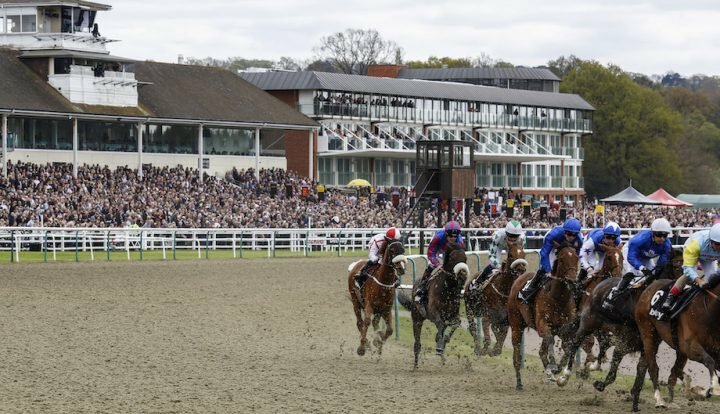 There are three pre-preps in this stable of schools on three separate sites: Ashtead, Leatherhead and Epsom. 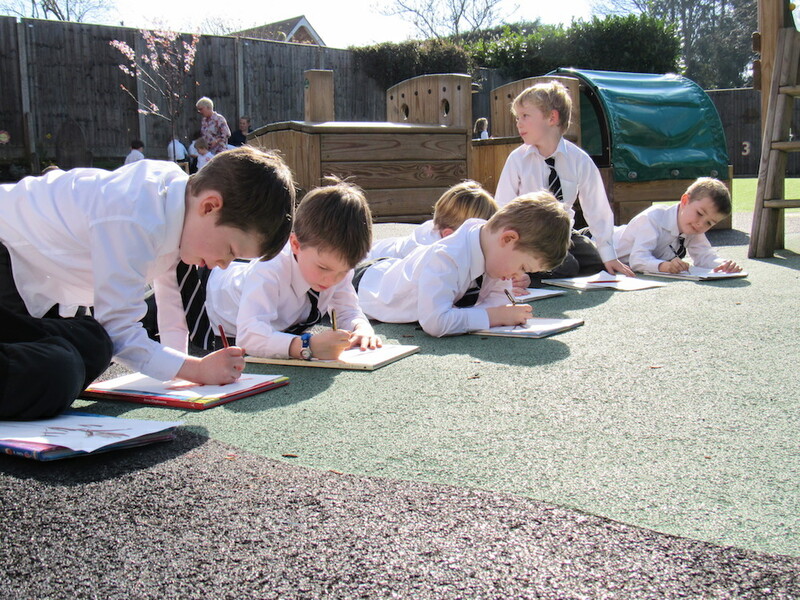 Each is run independently with their own head teacher and feeds into the Downsend School in Leatherhead. I visited all three pre-preps and while they have plenty in common, they all retain an individuality and uniqueness. Children at each campus start from the age of two in what is called First Steps (2-3 year olds), before moving into Rising Reception (nursery), then Reception and Year 1. What? Where? 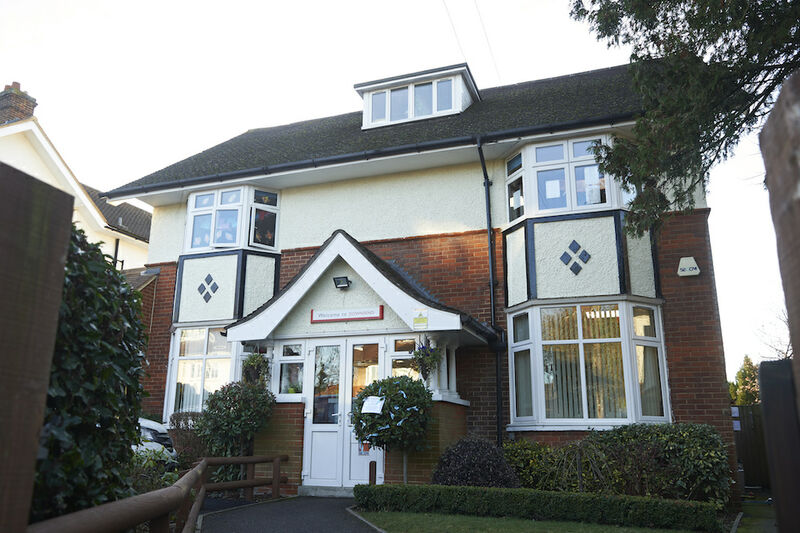 You’ll find the Ashtead pre-prep down a quiet residential street in Ashtead in a converted 1930s house. It’s a little over a mile from the main prep school in Leatherhead. In common with all three Downsend pre-preps, it’s very welcoming from the minute you walk in. There are currently 72 kids at the school, but this number grows as the year goes on and more two-year-olds join the First Steps classes. Facilities: The school is divided by year groups with separate rooms and play areas for each. There’s a school hall where the kids have their lunch, and assemblies are held, as well as a modern kitchen that prepares healthy meals for the kids each day. The school is working towards becoming sugar free, and the day I visited the kids were offered a date and cinnamon loaf, which got the thumbs up from most. Outside, the playground is astro turf so is usable all year round. 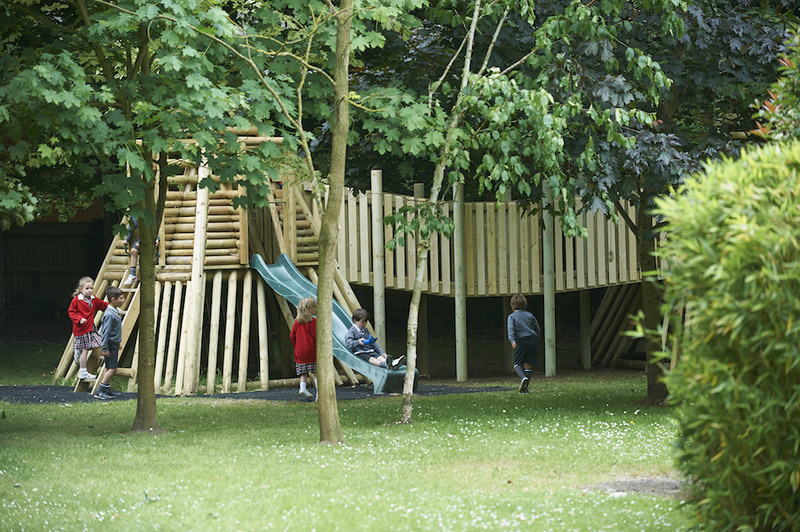 It has zoned play areas that includes things like a mud kitchen, sandpit and quiet spots. Each week they introduce a theme, and when I visited it was space so there were boxes for making rockets, space hoppers, dress ups and a space station had been added. What else? This is a school with a strong community feel to it – it’s relatively small and all the children know all of the staff, and vice versa. 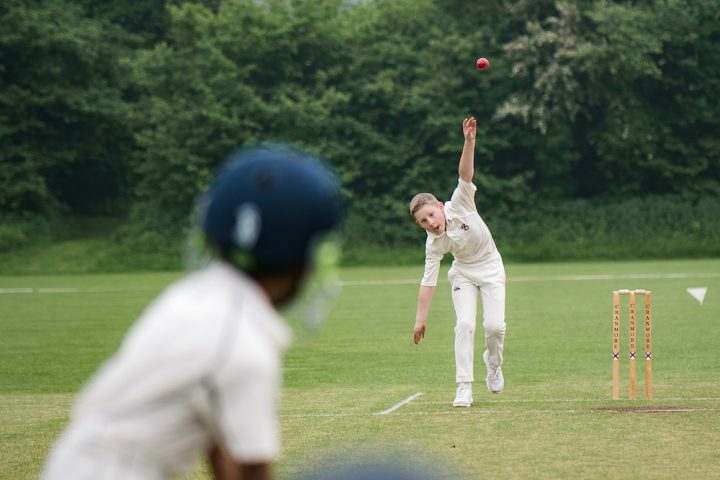 The school has strong links to the main school site, with kids being bussed over to use the facilities there such as the main sports hall, the astro turf games pitches and the swimming pool. They also make good use of nearby Ashtead Common for things like the Forest School. Teachers keep an interactive learning diary of each child, with pictures and comments recorded on an iPad and shared with parents via a parent portal. this helps to develop a close partnership between the school and families. The headteacher: Tessa Roberts is just entering her third year as the head, and it’s clear she’s passionate about the school and the kids who go there. She worked at Downsend Prep for 12 years before starting this role. Wrap around care: The school day is from 8.30am until 3.30pm, although children in First Steps will often do just the morning, finishing at 12noon. There is an Early Birds session for parents who want to drop kids a earlier (from 7.45am) and a Little Lates pick-up (from 3.30-4pm) which allows a more flexible pick up time, and is very useful for parents who have older children at the main Prep School in Leatherhead. These services are included in the fees. There’s an additional cost for the Extended Day session, which is to 5.30pm, and includes a light tea or snack. There’s also the usual array of after-school clubs (cookery, French, judo, ballet, samba, etc). What? Where? Tucked away at the end of a cul-de-sac, Epsom Pre-prep school is a similar size to the school at Ashtead with 70 children. That number will grow to about 90 by the end of the academic year. What else? The headteacher, Vanessa Conlan, has introduced a whole school project which is integrated into the curriculum of each year level. This half-term it’s ‘All about me’. Ms Conlan says this helps to link the school together as a community. As part of this project, each child in the school is doing a self portrait which is on display in the school’s hall. The headteacher: Vanessa Conlan is new to Epsom Pre-prep, having started in January 2017. Before this role, she was headteacher at a large state primary school in Mitcham, south-west London. Wrap around care: School starts at 8.55am and finishes at 3.30pm, with provision for Early Bird drop off from 7.45am, and flexible pick up until 4pm. The Extended Day after-school care runs until 6pm. There are after school activities every day, with the number of clubs increasing as the children get older. What? Where? 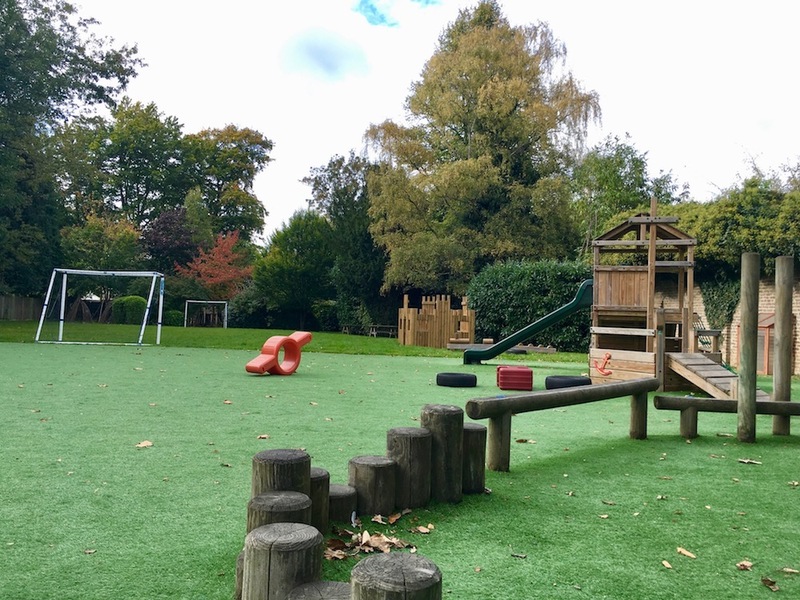 The Leatherhead Pre-prep is the biggest of the three with 132 pupils, and is positioned just a few hundred metres down the road from the main school site. 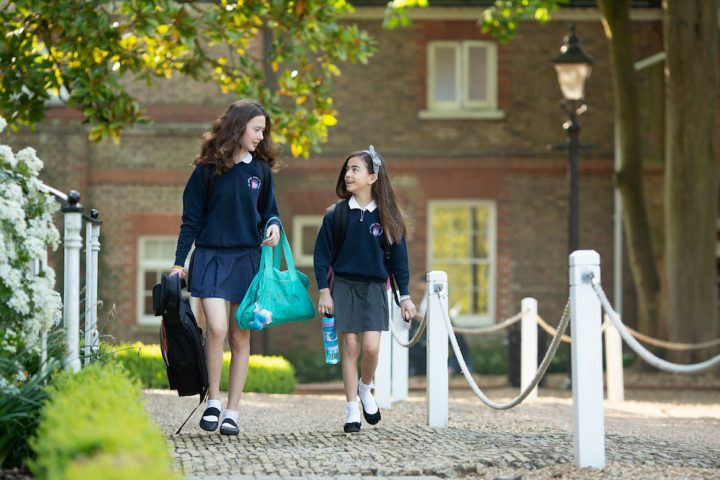 Facilities: The school is set over four floors in a converted late Victorian house. Most of the classrooms have double aspect windows and high ceilings creating a real sense of space. Reception and Year 1 are on the upper floors, while the First Steps and Rising Reception are on in later ground-floor additions. The outdoor space here is also worth mentioning because the site is a bit like a tardis. There’s a gate at the end of the garden which leads onto a further playing area (a secret garden, if you like), part of which has been laid with artificial grass making it practical for year-round use. What else? Specialist teachers in Music, French, and Dance come in and teach at the school, and children also make use of the facilities at the Downend Prep school just up the road. 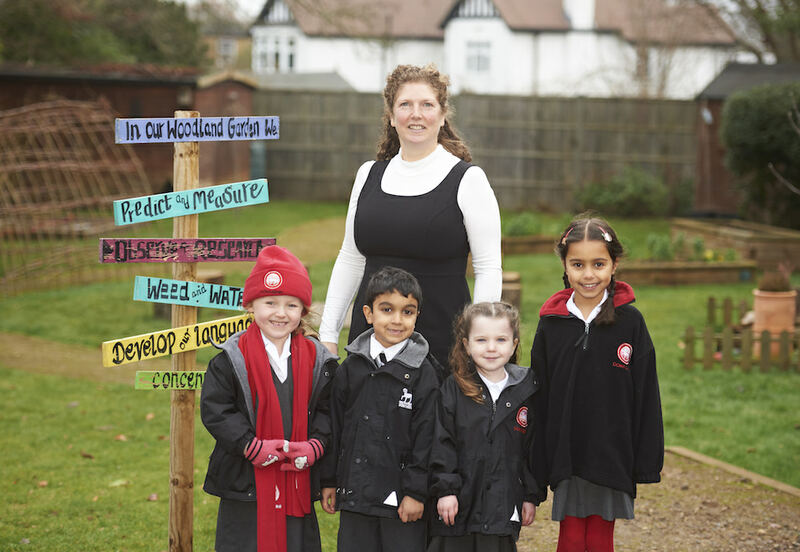 The headteacher: Gill Brooks has been headteacher here for 20 years, and her aim, she says, is to create an environment where the kids love to be, and don’t want to leave at the end of the day. Wrap around care: The school day runs from 8am – 4pm, with the option of Breakfast Club from 7.30am (kids can have fruit and cereal) and the Extended Day from 4-6pm where kids are offered a hot tea plus snacks. Like the other two sites, there’s a good choice of after-school clubs including things like music, science, crafts, sports, Forest School and multisports. The Holiday Club is run from the Leatherhead school, offering care from 8am-5.30pm during the school holidays. Children come from each of the three schools. It’s staffed with teachers and teaching assistants from each of the three sites. The academic results: Results across all three sites are on par, with all children reading and writing by the time they finish Reception. In Year 1 there is an expectation that children will be independent learners, and up to this point the foundations are being laid so children are academically and socially prepared. Fees: The fees for all three pre-preps are the same. Full time school (Rising Reception, Reception and Year 1) is £3,660 a term; in First Steps and Rising Reception rises depending on how many sessions, starting at £980 for two sessions/week and £3,325 for nine sessions. All fees include lunch, expect where the session is morning only. There are discounts if you have more than one child at Downsend schools, of 5 per cent for the second, 10 per cent for the third, and 15 per cent for the fourth child. 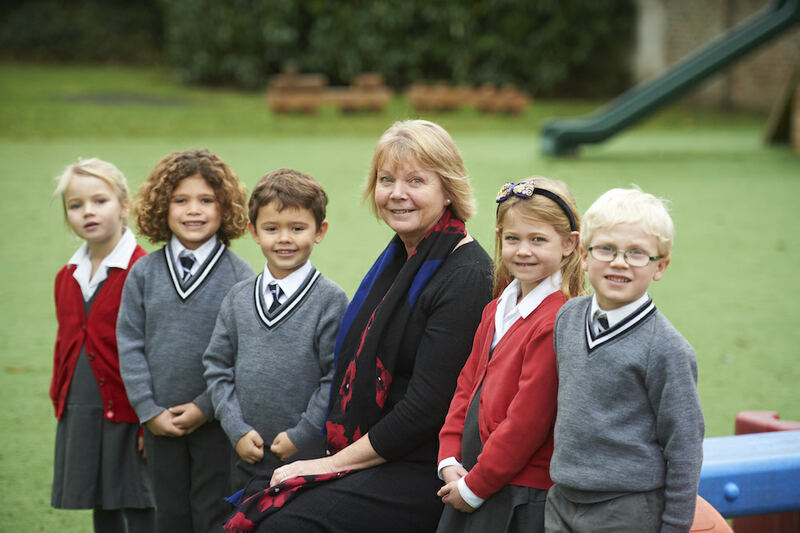 Word on the ground: Parents are happy with Downsend Pre-preps and almost all children move onto the Prep School. Parents like the facilities at the schools, and the down-to-earth nature of the Prep School, which also delivers on the academic results. 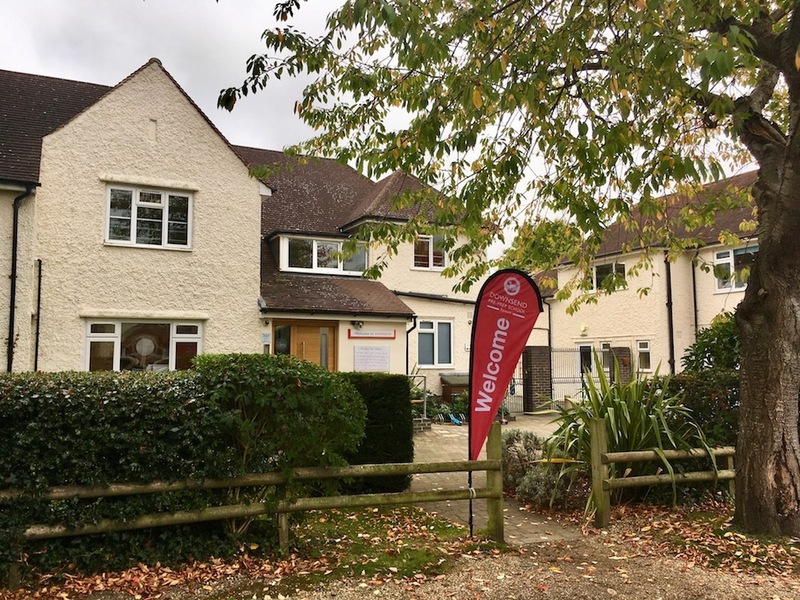 Not for: Those who want their little ones hothoused – all three schools are big on nurturing children and supporting their academic and emotional development. Dare to disagree?! Personal tours to any of the schools can be arranged all year around. The next Pre-prep open week will be from Feb 26 – 2 March 2018. Click here to book a visit.